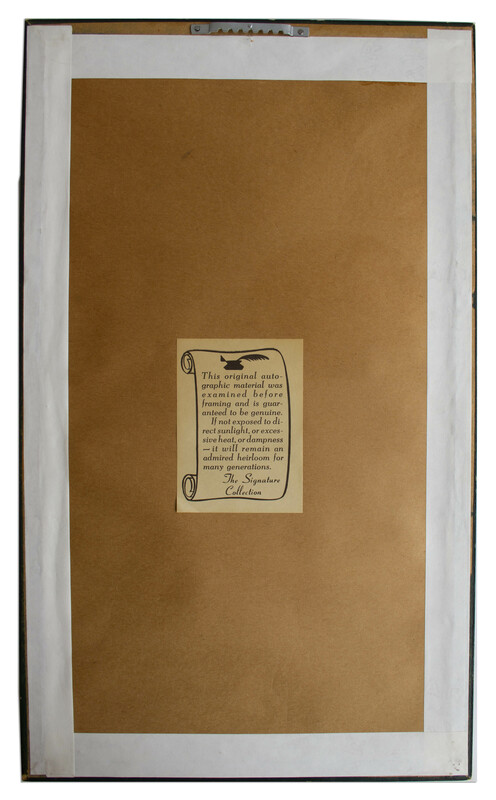 Samuel Clemens autograph note signed, datelined from his summer home in Elmira, New York on 22 July 1885, the year ''Adventures of Huckleberry Finn'' was published under his pen name, Mark Twain. Clemens here writes a note in pencil to ''Dear Sir'' in full, ''I thank you very much - & also your friend - for the enclosure. 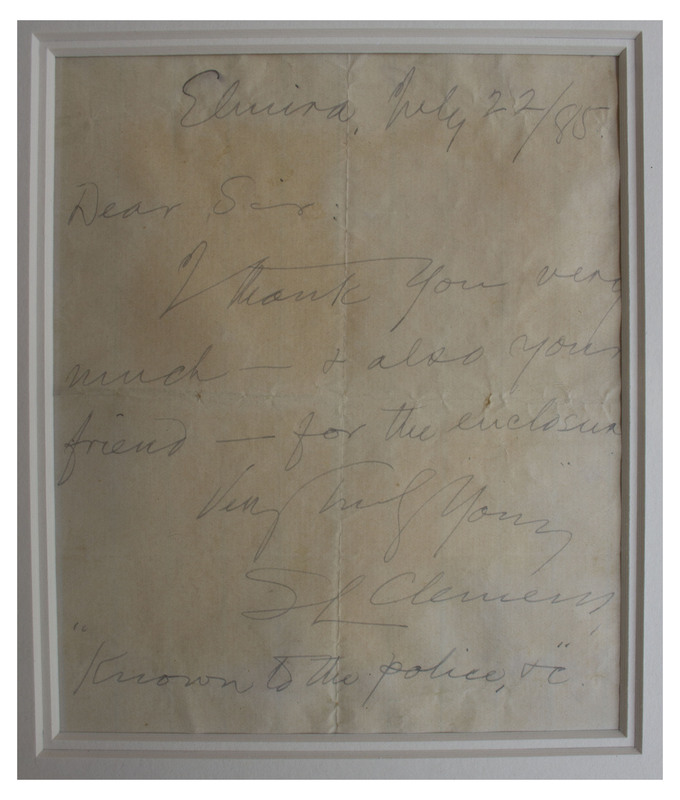 / Very Truly Yours / SL Clemens / 'Known to the police, &c'''. Single page measures approximately 5'' x 6''. Some toning and folds, overall very good condition. 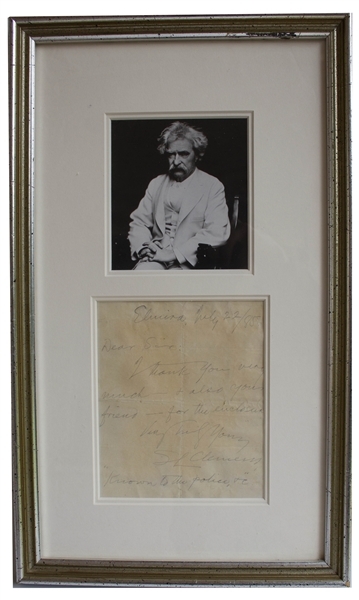 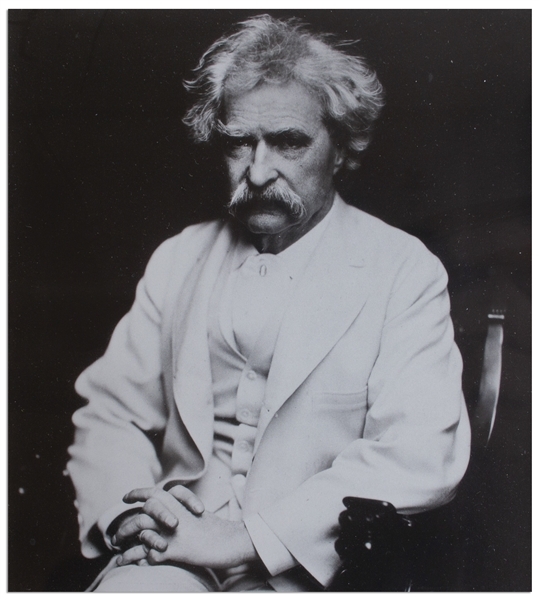 Framed with a photo of Twain to a size of 10'' x 17''.